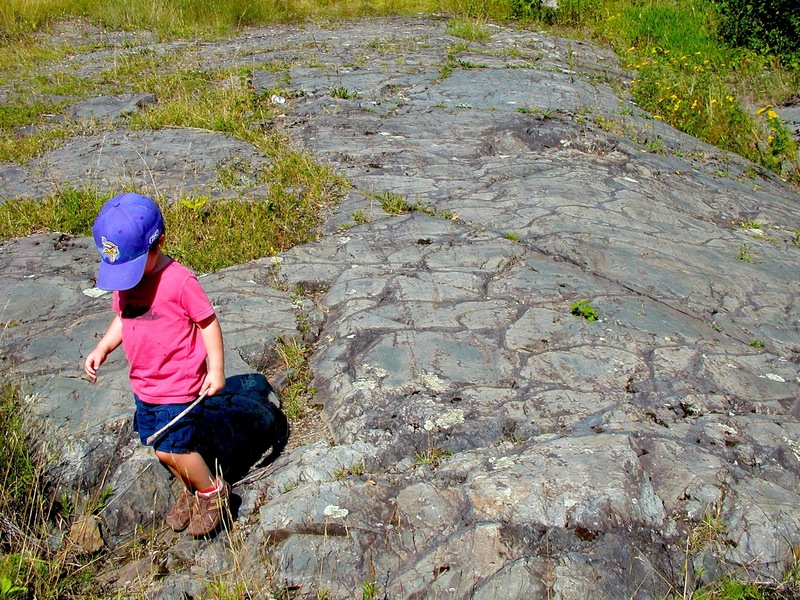 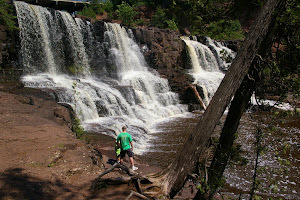 With 2012 just starting, my new goal is to publish a weekly post on selected topics or locations of Minnesota's unique geology. 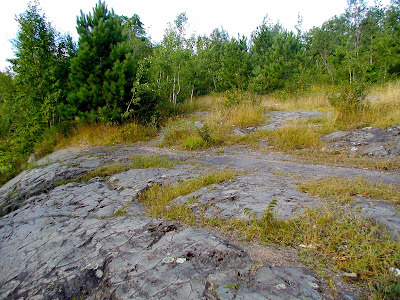 This first post will look at a classic location, the pillowed greenstone located in Gilbert, Minnesota. 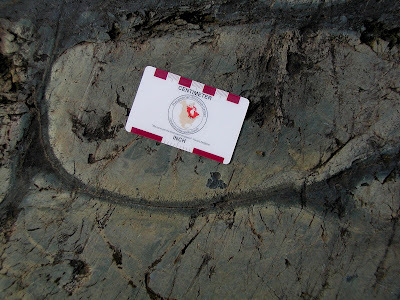 The greenstone is Archean in age, 2,700 million years old. 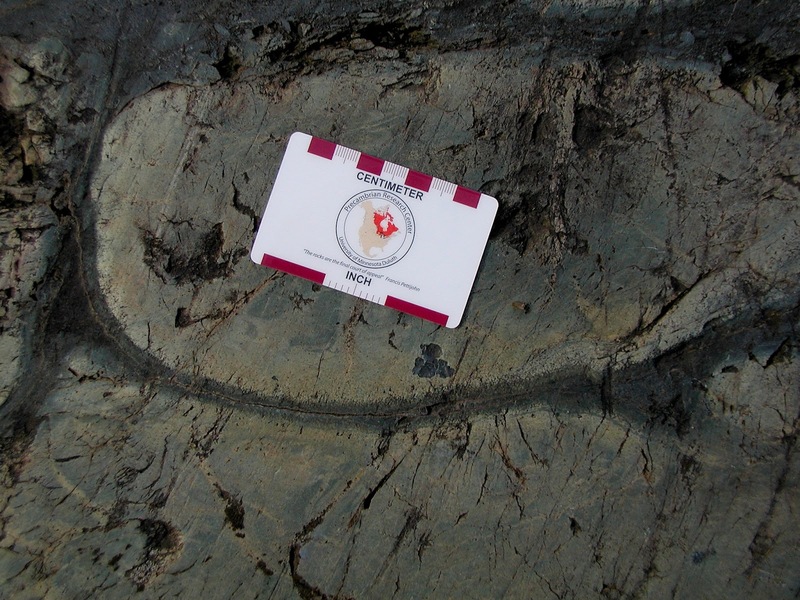 This pillowed greenstone is indicative of lava erupting underwater into an ocean or sea. 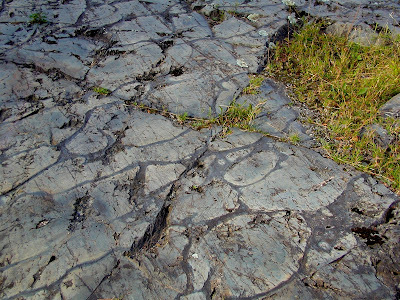 Lava that erupts into water forms rounded structures that are called pillows. 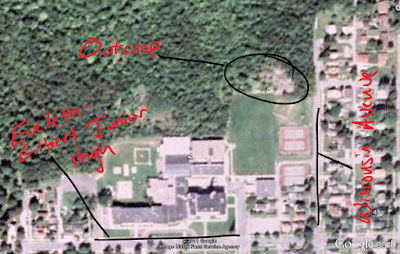 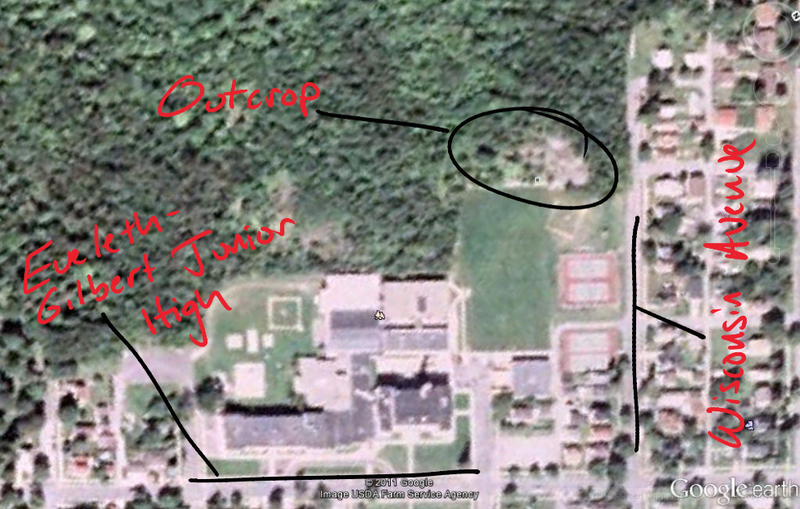 Looking at the attached Google Earth image of the area, the exposure is located behind the Eveleth-Gilbert Junior High School at the north end of Wisconsin Avenue near the athletic fields. 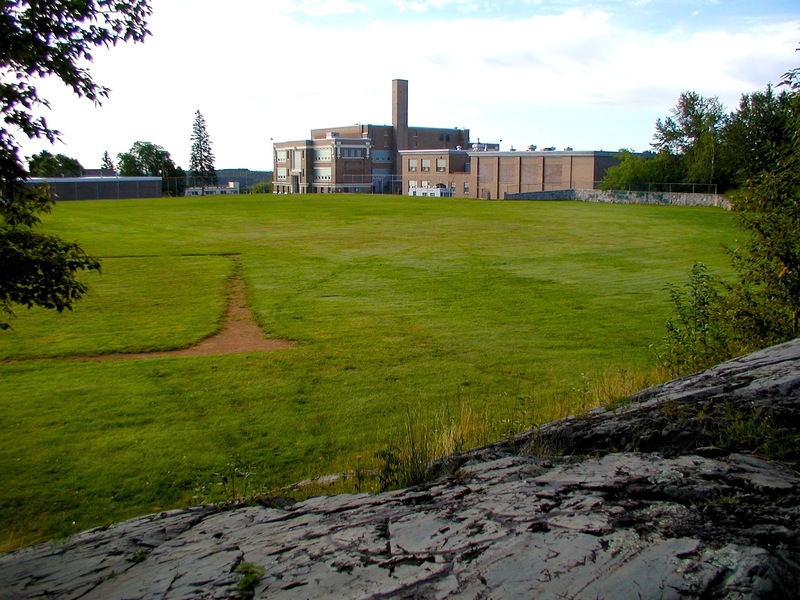 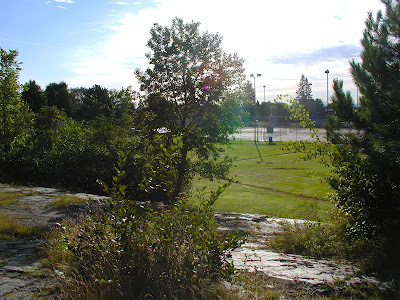 From the outcrop and looking towards the south, you see how the location of the school and ball fields are in close proximity to the pillowed greenstone exposure. Just north of the greenstone outcrop is a fairly wooded area, grasses, lichens and other types of vegetation exist in depressions or cracks in the greenstone. 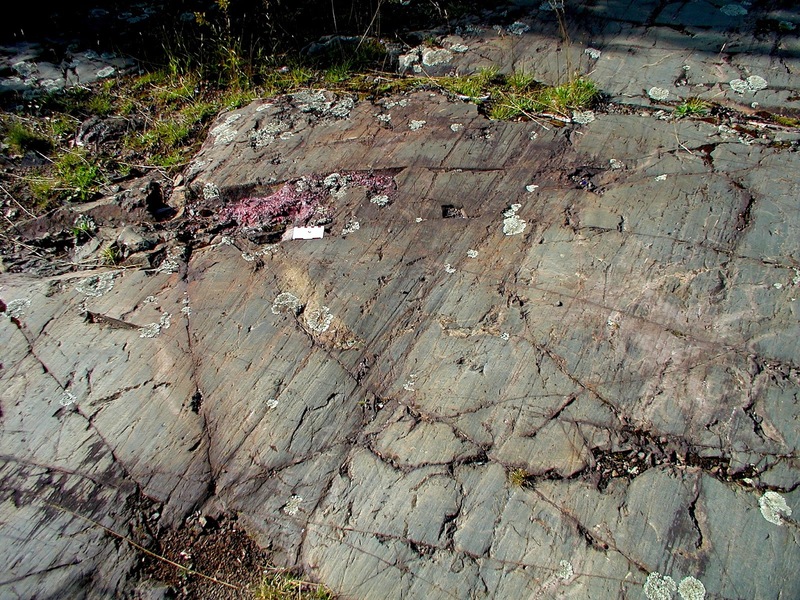 The lava that orginally erupted into the ocean or sea present at this location would have been basaltic in nature and would have consisted of the usual minerals found in basalt, primarily plagioclase and pyroxene. 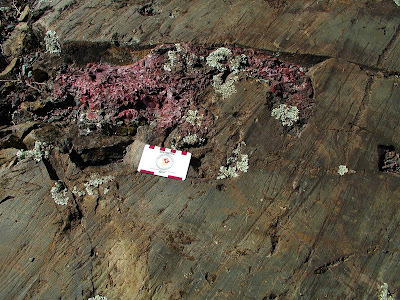 Through weak metamorphism that involved higher temperatures and pressures, these minerals were changed to minerals like chlorite and epidote. Since minerals like chlorite and epidote are green in color, they have given the rock an overall green color so the rock can be called greenstone. 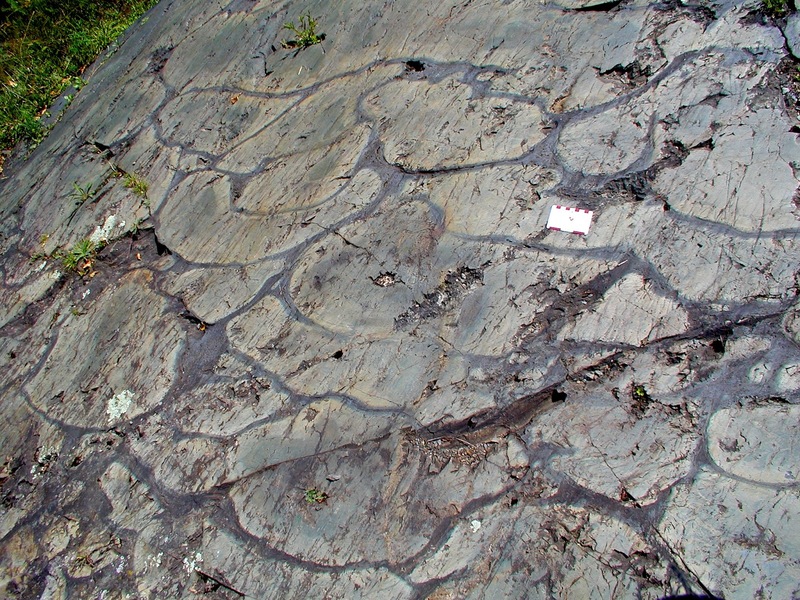 Boundaries between individual pillows are distinguished by areas of much finer or smaller crystals than the rest of the greenstone. 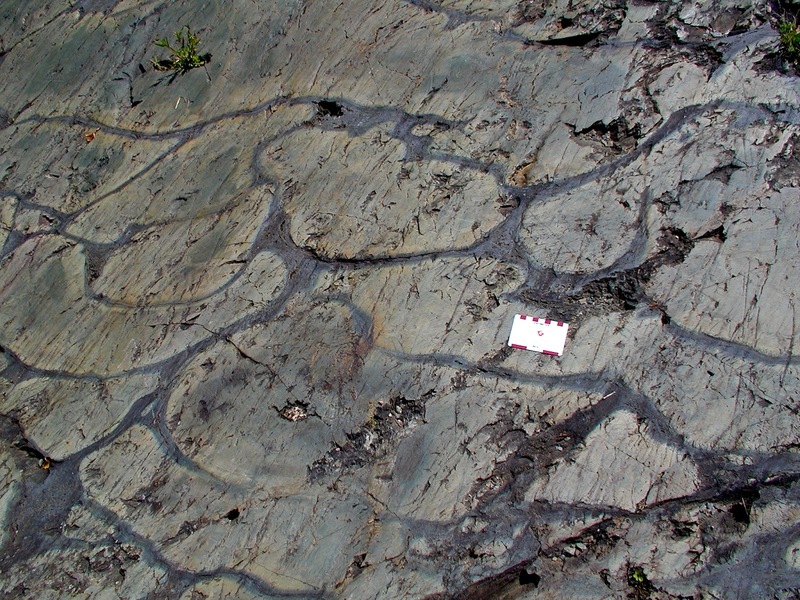 Since the lava erupted into substantially colder water, the edges of this lava cooled quickly resulting in much smaller crystals. The quicker that lava cools, the smaller the crystals are as a result. 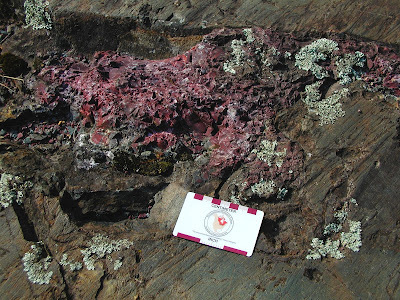 Lava that was farther away from the seawater interface, cooled relatively slower and the crystals that were formed were bigger. Also found on the exposure is a small portion of red hematitic chert of the Biwabik Iron Formation that would have covered the greenstone earlier in time. 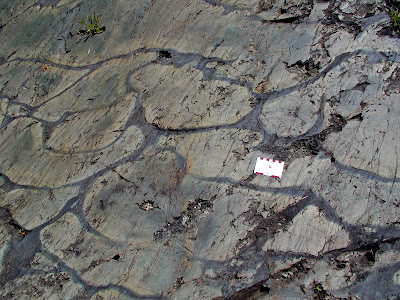 The differences in time between these two units, the greenstone and the Biwabik Iron Formation, represents a difference of 800 million years. 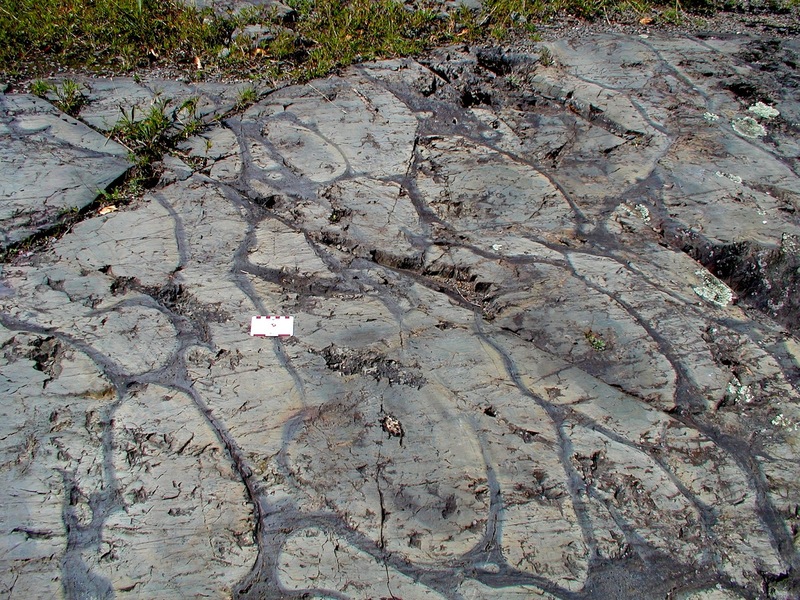 Late Wisonsin glaciation is also represented well in this location. 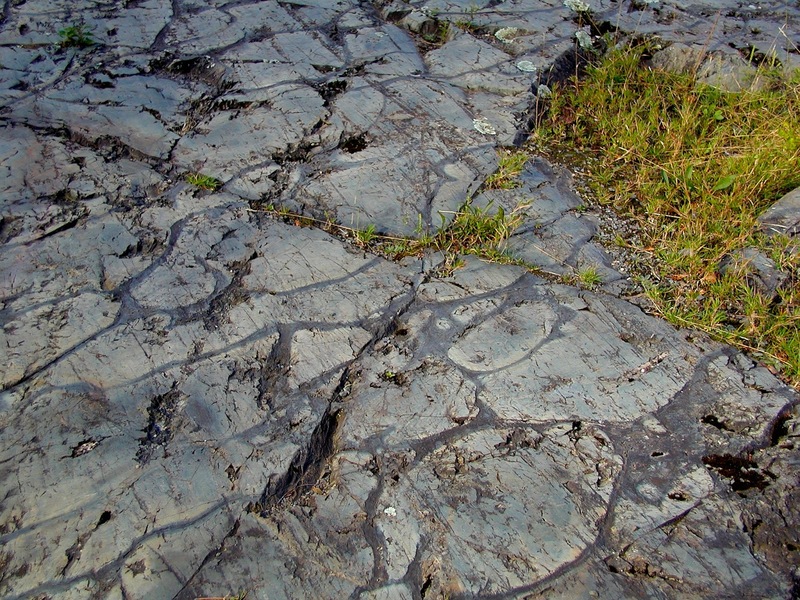 The greenstone exposure has numerous examples of glacial striations or scratches that trend northeast to southwest from the Rainy Provenance. 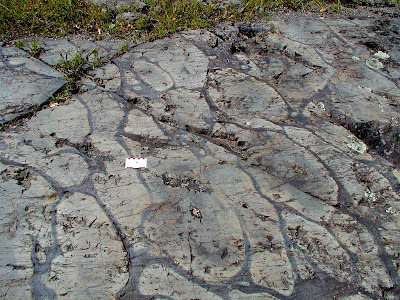 These striations and glacial deposits that match the Rainy Provenance as a source location, indicate that the Rainy lobe moved through the area.